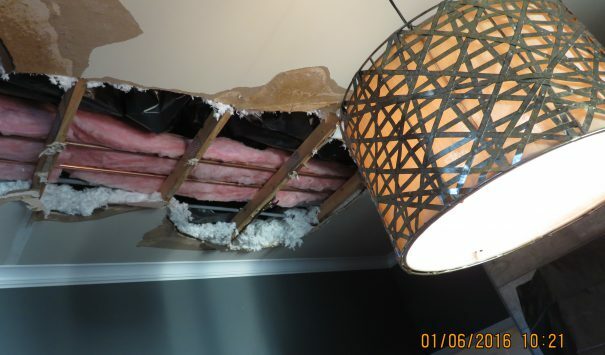 On a chilly January evening a water pipe burst open above the bedroom in this Lehighton home due to the extreme cold temperatures. 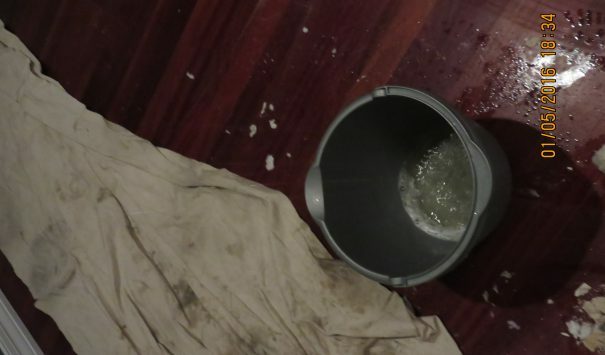 The water accumulated in the attic space before the extra weight resulted in a collapse; spilling insulation and water everywhere. Because of the design of the attic a loose insulation was used. However this made the mess created much larger as is dropped all over the bedroom. 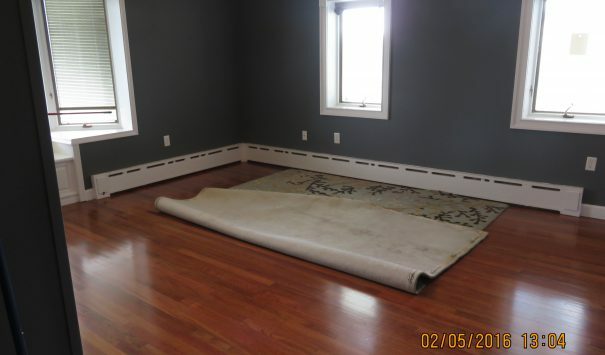 The home owners contacted Cityline construction for assistance. 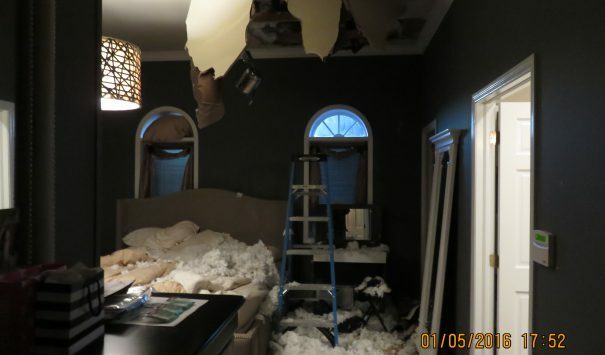 Our most important task upon arrival was to move the contents in the bedroom out of the bedroom as it was the epicenter of the damage and, based on the bowing in the ceiling at the time, there was still more water in the ceiling. 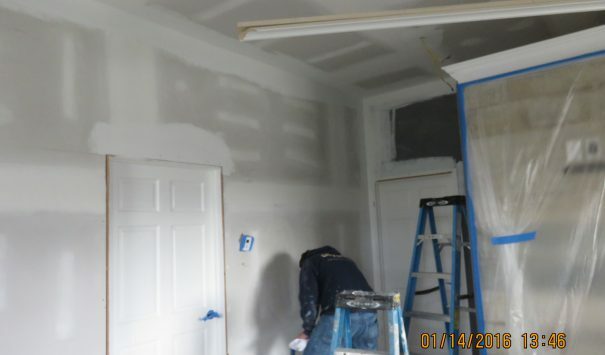 Our crews removed the bed, quarantined the room and began tearing out the damaged ceiling drywall. This allowed better access to the broken pipe and allowed for proper removal of the moisture buildup. The insulation came cascading down onto the empty floor where it was easy dealt with by out crew. 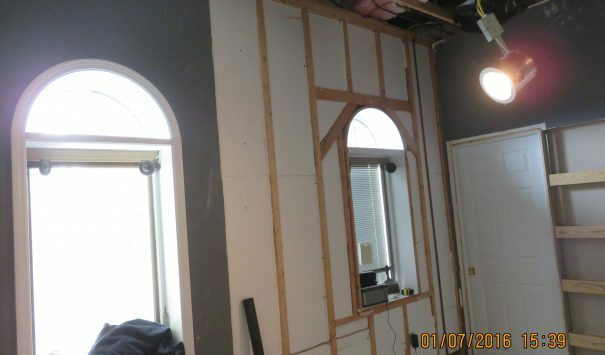 The waterlogged walls and ceilings were pulled out from all the damaged rooms and replaced. 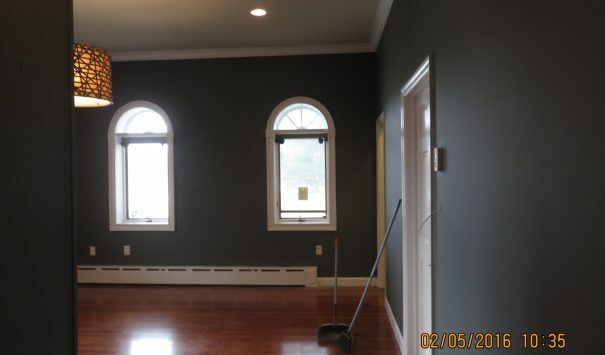 After the instillation of the new floorboards, the bedroom was reconstructed and repainted. Finally the contents in the bedroom were placed back where they were pre-flood; every such item being properly decontaminated or replaced depending on the extent of the damage. The home owners were very happy with the work Cityline provided.